2010 World Cup Part 1. Vuvuzelas: The world's soundtrack this past month. Enjoy the image above (A little picture from the opening match between South Africa and Mexico where I joined up to 50,000 other South Africans in a local fan park in Soshanguve to celebrate the draw with Mexico! I have never before thought I would be in a semi riot, but when Tshabalala scored that goal in the 57th minute, oh.my.goodness. Let’s just say that in the rush of vuvuzela blowing (I LOVE THEM!) and dancing, a little boy got shoved into my lap in the chaos for the rest of the match. Priceless!). I just finally moved into my new place (a back bachelors flat of a house in our new neighborhood of Clydesdale right next to the University of Pretoria in the city, and the rugby/soccer stadium (Loftus) you’ve seen on the World Cup). I navigated South African government bureaucracy and purchased a car. Maxie and I are progressing along great, it’s been 11 months together earlier this week which is incredibly awesome and weird! I think we are moving towards long term relationship (not discussing marriage yet, but committed to grow and progress together). We are appreciating each other more and more, learning to value the immense cultural differences that come when you throw an American and a South African together in relationship, and choosing each other over many other things. I have just returned from a fanstastic 2 week outreach trip with a bunch of talented South African musicians and dancers during the first 2 weeks of the World Cup in the Port Elizabeth/Jeffrey’s Bay area (scored 4 amazing sessions of waves at Supertubes including the longest rides of my life too!). I was able to teach some, ‘mc’ our outreaches with a girl from Mabopane (a local township Maxie works in), pastor the team, and generally learn to lead with Maxie who led the whole trip! We (all of CRM that is) head to malaysia (I know, the life of a missionary is rough!) for the last 2 weeks of July for our every 4 years annual worldwide conference (literally all of CRM stops what they are doing in over 25 countries with over 400 missionary families and gathers for a week of worship, teaching, exhortation, strategy, and play). I can’t wait to understand the larger story i am a part of! I recently led the teaching team (they call themselves the public pool!) of 3rd Place, my local faith community in Pretoria, through a day long retreat of input and reflection connected to Donald Miller’s incredible work, “A Million Miles In A Thousand Years.” I have been chewing on this book ever since it was released last autumn and have to say that I think it is the most profound, powerful, disturbing, and beautiful work I have ever read. I’ve worked through it at least 3 times now, and am about to start on it for a fourth time soon. It has basically been the only thing I have been reading the past 9 months. More accurately as Rob Bell comments in a quote on the book jacket, “I feel like this work was reading me.” I have been profoundly challenged to consider the types of stories I am telling with my life, and to create (as God has breathed this creative impulse deep within me) meaningful stories with my life. 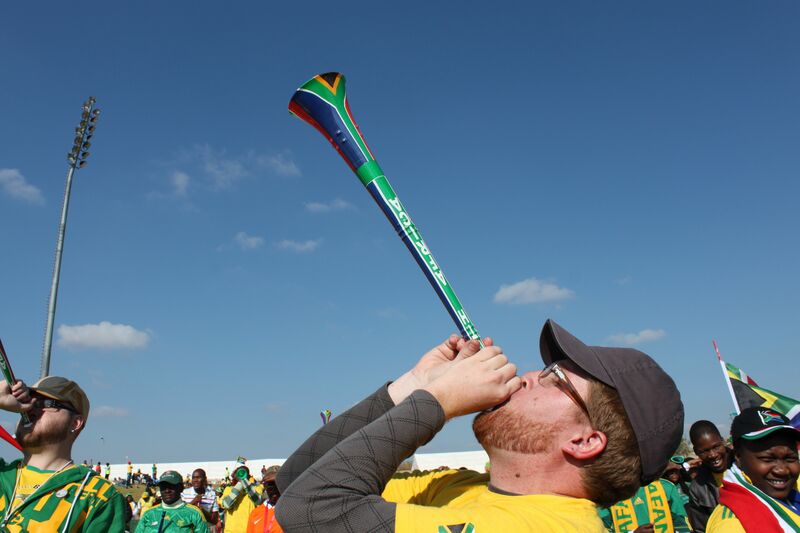 I really enjoyed watching the World Cup and reading the SA blogs – the use of “we” by South Africans is my favorite part.